The famous supermodel Natalia Vodianova appeared in public in the shocking image of the red blood cell. Body made of red latex, inflatable balls and boots the model wore were all she had on. Vodianova's unusual costume was demonstrated during the annual charity fair of the Naked Heart Foundation, which was held on October 28, 2017 in New York. The party, the theme of which was Halloween, gathered celebrities from the world of fashion, wine, art and music. 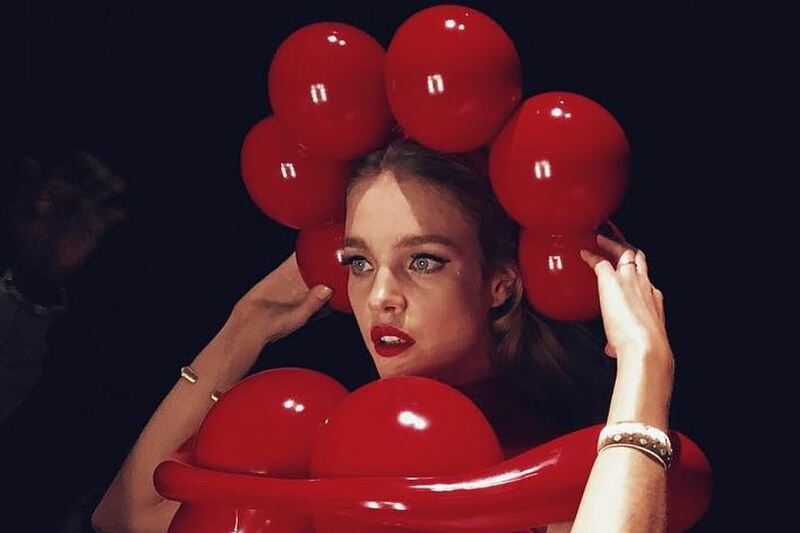 Natalia Vodianova shared a photo and a short video from the holiday, in which she in an unusual suit poses with the famous artist Jeff Koons, who became the art director of the event. 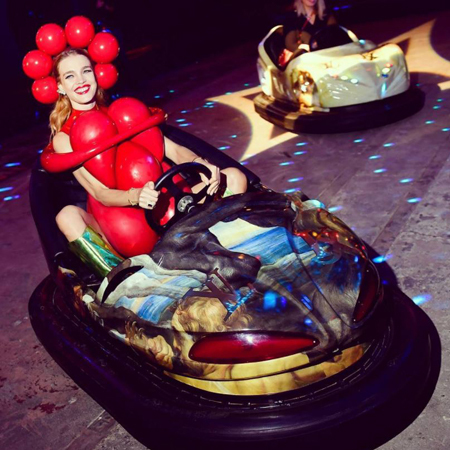 The costume of the model is made of red latex, the main element of the attire is inflatable balls. The image is associated with a drop of blood, which, as you know, is a symbol of life. Fans immediately dubbed this outfit with an erythrocyte. Many followers of Natalia Vodianova in the comments admit that they did not expect such an outrageous response from her: the suit is more suited to Lady Gaga, famous for her love for such outfits. But at the same time, followers note that the model is beautiful in any way. - That's what the SUPERModel means !!! In any incredible and strange costume she looks amazingly beautiful, feminine and attractive! - admires nadezhda824. - You have to be the most professional model to wear this awkward construction and look brave, beautiful and worthy of a smile. Bravo!